Elder Quentin L. Cook expanded on the details of the new changes to the Sunday Schedule and numerous ways that it can help impact the lives of the saints for the good. I’m thrilled about this new direction, the loss of an hour is barely noticeable when compared to the greater vision of what is trying to be accomplished here. The current 3-hour block came about in 1980, I believe, but that third hour was still part of the weekly worship. Three straight hours does take a lot of people and time to accomplish every 7 days, 365 days per year. One hour may not seem like much, but I think it will have a much bigger impact than we may initially think. For example, nursery time just got chopped in half and one less hour with a room full of screaming toddlers is not going to have any nursery leaders complaining. I agree. This is a big deal and a great direction for our people. What I am really grateful for here is that we didn’t have some new program dumped on us in addition to everything else we have going on. We are stripping away quite a bit to make room for individuals and families to breath and strengthen themselves through more pure applications of the gospel instead of reliance on bureaucratic programs. YES! Deepening conversion to Heavenly Father and the Lord Jesus Christ and strengthening faith in them. Strengthening individuals and families through home-centered, church-supported curriculum that contributes to joyful gospel living. Honoring the Sabbath day with the focus on the ordinance of the sacrament. Helping all of Heavenly Father’s children on both sides of the veil through missionary work and through receiving ordinances, covenants, and blessings of the temple. These are great goals, and I think that the changes will make them even more possible and likely. Right on. We do a ton of stuff together with family, many times throughout the week, in fact. A twinge of guilt remains that we are not doing it on a specific day of the week that has been recommended. Well, those days are gone and it couldn’t make more sense. This is a really good move as well. Nobody I know in any ward I have attended actually reads the lesson before Sunday School at church and I don’t think I ever have. Too much stuff to study and keep track of. I have family scripture study, family home evening, personal study, my Webelos to prepare for and my Valiant 11b class to teach. While I haven’t been the biggest fan of church correlation and a homogenized approach for various reasons, I oddly don’t mind this. 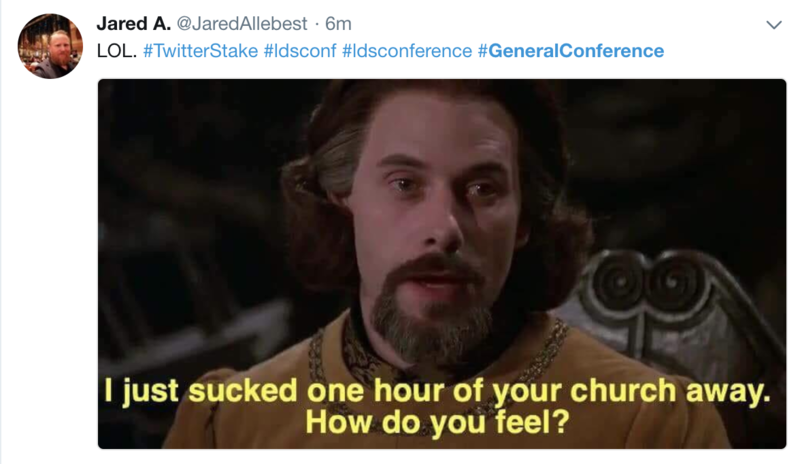 The only issue I see is that the youth will follow the schedule each week but the adults will skip 2 of those lessons per month to focus on conference talks on the 2nd and 4th Sundays. That may encourage them to want to have a home evening to catch up on what they missed but that creates redundancy for the kids and they might not want a rerun at home or church. I’m interested to see how it plays out. This is a new one. In the past, the church hasn’t been too keen on people gathering in study groups due to anecdotal accounts of some people going off on wild theories or apostasy. While I have been to study groups and have been greatly edified, there was always a wall put up when anything like that was suggested. I’m very pleased to see that this is actually being encouraged because I think that people are more comfortable outside of a formal class environment to really open up to real discussion. Thank you for not designing some app that we will all feel forced to use while we keep using those things that are already working. And this is coming from a guy who built ReturnReport.com in hopes that it would make home teaching reporting easier. Nobody used it, turns out phone calls and texting worked better. Get right into the discussion, I dig it. This is a powerful leadership move. It might take some time to break old habits or some Pharisaical behavior. I’m sure we’ll get some pushback here and there. I’ve been struggling with the ministering program because home teaching was actually so much easier. You could get away with doing the visit, reporting it and feeling good that you got it done. Well, now you actually have to care (I’m speaking more here from my natural man of course but yeah), you really have to care, to think, to pray, and to understand.